We finally get our answer of what a wonderwall is, any way! 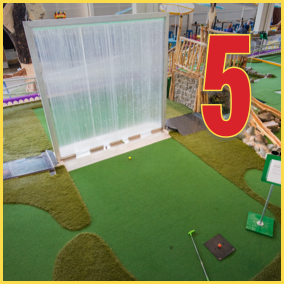 Apparently it’s a fun mini golf hole at Can Can Wonderland that challenges you to shoot your ball through one of four open spots in a relaxing waterfall wall. Who knew?